People tend to believe that white is cold and boring but that is not always the case. Warm whites such as ivory and cream create a sense of warmth and comfort while bright, cooler whites can create the illusion of more space and give off a sense of crispness and newness. Although the color white offers simplicity, it does have a wide variety of undertones and tints which can make the color selection process a little tricky. 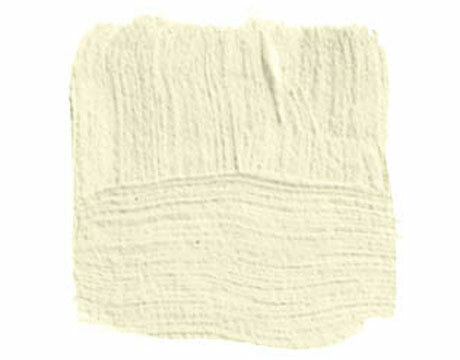 Warmer whites will have yellow, khaki and ivory undertones, while brighter whites will have more blue and gray undertones. When creating a white-on-white color scheme, you want to avoid a space looking too stark and cold. In order to warm up a bright white space, layer accessories with yellow undertones such as ivory and cream. They will soften the brighter whites and make the room feel more cozy. Warmer whites create a very relaxing, cozy space. When using warmer whites, you should use different tones of whites and layer them throughout the space. Combining creamy white walls with crisp white curtains, ivory colored textiles and bright white accessories adds interest to a space. Additionally, whites with khaki undertones combined with natural materials creates an organic feeling to a room. Another great thing about an all white room is that it gives you the freedom to play with color in other places. For example, during the summer, you may want dress up your white bed with brightly colored pillows and then in the colder months, swap out the accent pillows for darker ones. White wall color also creates a high contrast with darker furnishings and floors which really makes furnishings pop. Additionally, the contrast or white and black is as classic as it gets! As you can see, white is truly a great color to decorate with. It’s all about choosing the right undertones and the correct furnishings in order to showcase your space! Need a workspace but don’t have a designated office room in your home... Stress-free decorating for couples!